Flexible professional child care. You can chose your own days and times required to suit your individual needs and requirements. Change them weekly if that is what you require. Our Corporate Discount Scheme is open to lots of employers, and businesses national and local. 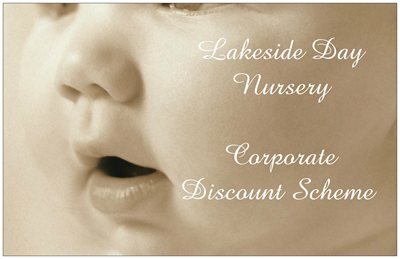 We also offer discounts to NHS staff and local government. Please ask for further details or to register your employer or company. Fees can be made via Childcare Vouchers, Direct Debit, BACS, Debit & Credit Card, Cash or Cheque.